They have gone from milking 100 cows a day to making over 100,000 pints of beer a week- meet a hard-working family and an unexpected brewing bonanza that earned them local loyalty for decades to come. 14 years ago, John Gill and his wife Susan led a family dairy farm in picturesque Bradfield, delivering fresh milk to local villages everyday. To their misfortune, or perhaps the exact opposite, dairy prices in the UK plummeted and many milk farms began to close their doors. Watt House Farm had to diversify. 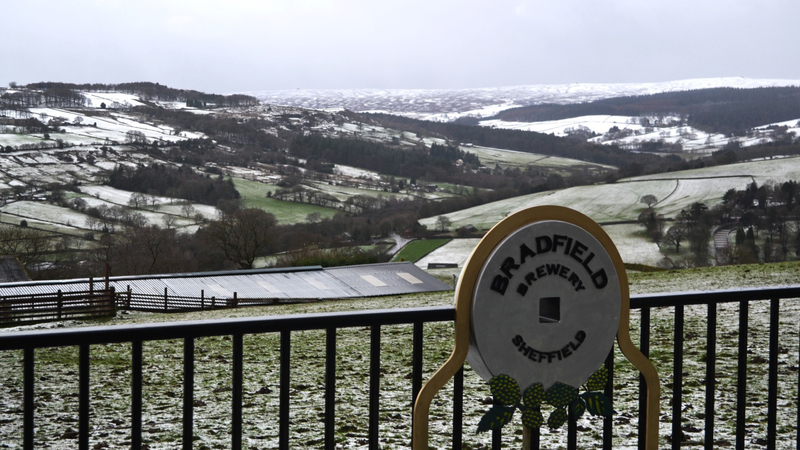 “In times of crisis like this, it’s all about finding ways to try and supplement the income with another product,” says Jackie Helliwell, who is giving us a tour around what’s no longer a dairy farm, but Bradfield Brewery, known for their traditional ales nationwide. “It was John and Susan’s son Richard who liked to play around with home brewing and pitched the unusual idea to his parents,” Jackie says. “A few pubs got on board in 2005 and that’s how it all started.” With a branding that celebrated their farming heritage and a traditional bitter as the first product, the Gill’s family hopped on new journey. 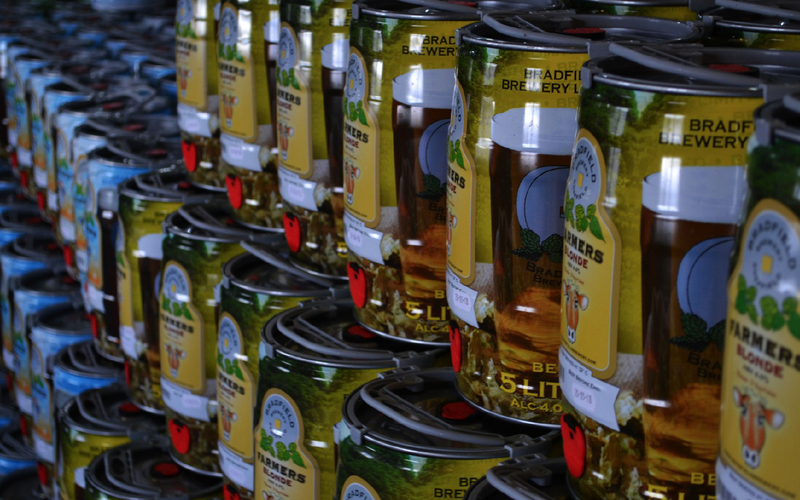 From the start, seeing consistency and quality in their product was the no.1 priority for Bradfield Brewery. “We’re using the finest malts, traditional hops and natural spring water,” explains Jackie, as we walk into the heart of the brewery with rows of giant brew tanks on each side, which there is more and more of due to expansions. “We have gone from having four 10 barrel tanks to now brewing in ten 40 barrel tanks, and there’s still space for more,” Jackie adds proudly. As the ‘farmers who brewed beer’ became known and business was booming, they bought one of the first pubs that took their beer, making the Nags Head Inn a place to try the product, made within a walking distance from it. “There’s a place for foreign craft beers and ales, but beer should be regional, as that’s what people will always want to drink,” says Jackie firmly, and as locality supporters we could not agree more. Customers walk up to our bar and recognise the name straight away. It’s relatable because it’s local. The brand’s bestseller is now the Farmers Blonde, which was first released as a seasonal special. “It ended up making its way into permanent production, accounting for half of what we brew,” says Jackie. “It’s a popular light session beer, it is easy drinking and great with fish and chips.” Not just that, it can also be used to make the batter! Still, however adventurous the brewers may get with their seasonal creations, loyal customers can always count on quality and taste of proper ales when they order a pint of Farmers. 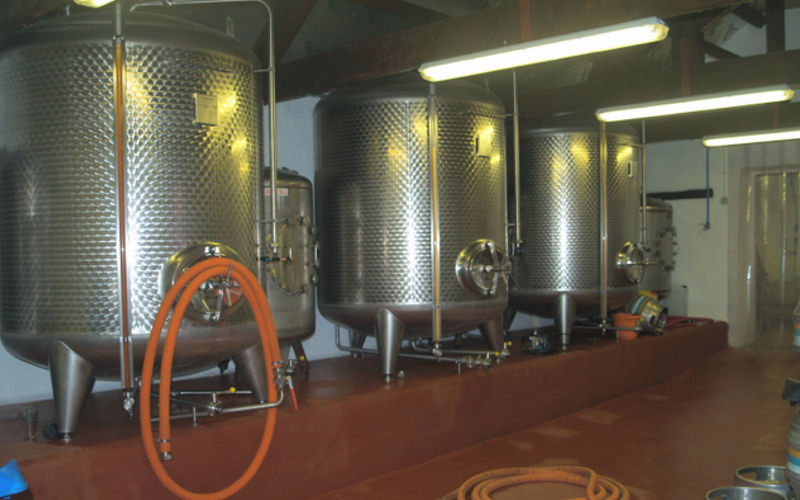 It’s done simply well and with no gimmick – as befits an honestly local product. 1. Peel and core apples/pears, cut into large dice. 2. Put all ingredients into a suitable pan. 3. Cook for an hour, stirring occasionally, or until the apples have broken and it is a thick chutney consistency. 4. Store in a large airtight Kilner jar for up to 3 months. 1. Sieve flour and salt into a mixing bowl. 2. Whisk in beer and soda water.